Soil organic matter characterisation by photometric indices or photon correlation spectroscopy: are they comparable? Soil organic matter (SOM) is a complex component of soil that acts as basis for most of the soil forming processes. SOM characteristics, including quantity, spatial distribution, molecular size and composition, are the results of environmental effects. SOM is definitely hard to be measured in situ, therefore most investigations are based on incomplete SOM extractions or other proxies. Even though, the traditional humus concept that polymerisation degree of SOM molecules are proportional to their stability are refuted, the concerning proxies for SOM composition predictions are still in use. These are mainly based on the photometric investigations of alkali extractions. However, this extraction method received many rightful critiques, it still could be a possible alternative, since it is quite simple, cheap and represented much more SOM than water extractions. This study aimed to compare SOM composition results based on carbon-nitrogen ratio and alkali extractions measured by UV-vis spectrometry and photon correlation spectrometry on the same soil used as forest and crop field. SOM composition proxies provided inconsistent results using the NaOH extraction method compared with photon correlation. Therefore, the application of organo-mineral SOM protection theory in association with the photometric proxies seems to be difficult in the case of the investigated Luvisol. On the other hand, photon correlation spectroscopy provided results in line with the published results of the organo-mineral stabilization theory that suggested alkali extraction with special care could be a useful alternative. However, due to the known imperfections of it, the application of in situ measurement methods would be preferable. Buurman, P., van Lagen, B. and Velthorst, E.J. (eds.) 1996. Manual for soil and water analysis. Leiden, The Netherlands, Backhuys Publishers. Centeri, Cs., Jakab, G., Szabó, Sz., Farsang, A., Barta, K., Szalai, Z. and Bíró, Zs. 2015. Comparison of particle-size analysing laboratory methods. Environmental Engineering and Management Journal 14. (5): 1125–1135. Coleman, K. and Jenkinson, D.S. 1996. RothC-26.3 – A Model for the turnover of carbon in soil. In Evaluation of Soil Organic Matter Models. Eds. : Powlson, D.S., Smith, P. and Smith, J.U., NATO ASI Series I: Global Environmental Change 38. Berlin–Heidelberg, Springer, 237–246. Her, N.G., Amy, G., Sohn, J. and Gunten, U. 2008. UV absorbance ratio index with size exclusion chromatography (URI-SEC) as an NOM property indicator. Aqua 57. (1): 35–46. IUSS Working Group WRB 2015. World Reference Base for Soil Resources 2014, update 2015. International soil classification system for naming soils and creating legends for soil maps. World Soil Resources Reports No. 106. Rome, FAO. Kononova, M.M. 1966. Soil Organic Matter. Its Nature, its Role in Soil Formation and in Soil Fertility. Oxford, Pergamon Press. Nadi, M., Sedaghati, E. and Fuleky, Gy. 2012. Evaluation of humus quality of forest soils with two extraction methods. International Journal of Forest, Soil and Erosion 2. (3): 124–127. Reddy, S., Nagaraja, M.S., Punith Raj, T.S., Police Patil, A.S. and Dhumgond, P. 2014. Elemental Analysis, E 4 /E 6 Ratio and Total Acidity of Soil Humic and Fulvic Acids From Different Land Use Systems. Annals of Plant and Soil Research 16. (2): 89–92. 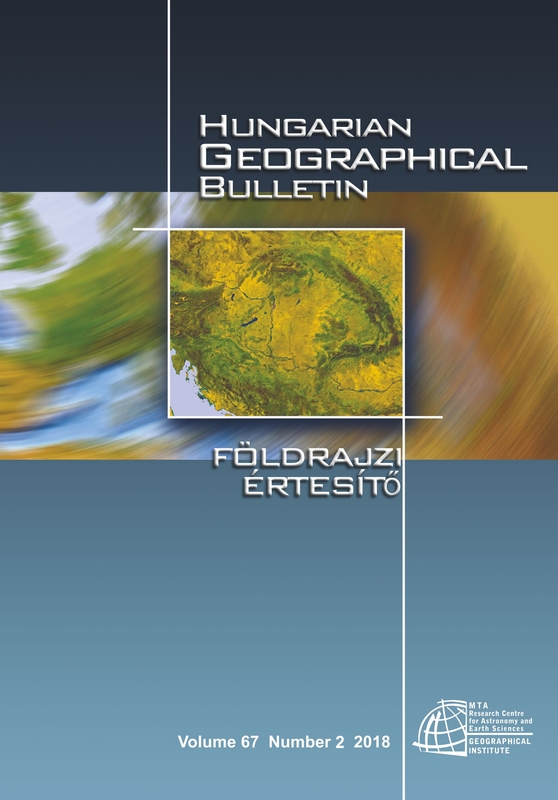 Rieder, Á., Madarász, B., Szabó, J.A., Zacháry, D., Vancsik, A., Ringer, M., Szalai, Z., and Jakab, G. 2018. Soil Organic Matter Alteration Velocity due to Land-Use Change: A Case Study under Conservation Agriculture. Sustainability 10. 943. 1–11. Rowel, D.L. 1994. Soil science: methods and applications. London, Prentice Hall. 350 p.
Stevenson, F.J. 1982. Humus Chemistry. Genesis, Compositions, Reactions. 2nd edition. New York,Wiley and Sons Inc.